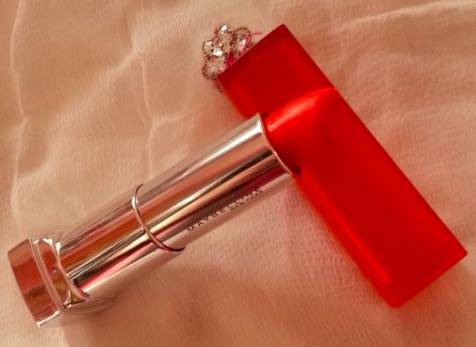 Hey everyone, today I’m going to share my currently favorite Maybelline makeup products. Maybelline is a well-known beauty brand that offers a wide range of budget friendly makeup products. I totally love Maybelline nail paints, lip balms, lip colors and eye products. Maybelline makeup products are easily available at local beauty stores and online shopping websites. Maybelline Baby Lips Spiced Up Lip Balms : These are new launch from Maybelline and are available in three shades. I got the shades Spicy Cinnamon & Berry Sherbet which are ideal for daily wear. These are tinted lip balms and come with SPF 15. 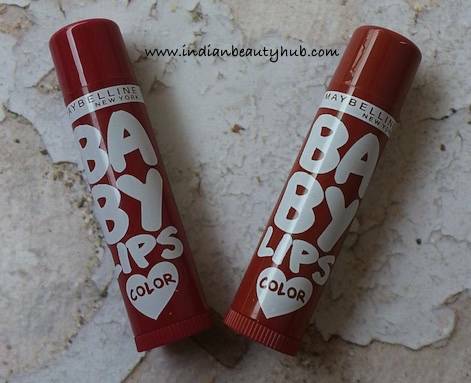 The price of the Maybelline Baby Lips Spiced Up lip balms is Rs.175 for 4g. Click to read the full review. 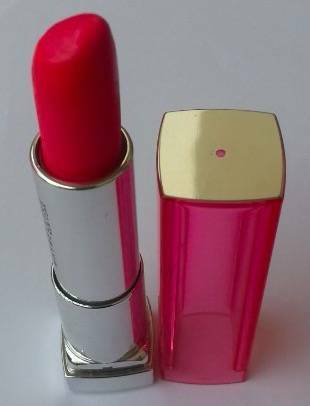 Maybelline Color Sensational Pink Alert Lipstick POW2 Price : It is such a gorgeous hot pink color which instantly brightens up the face. It comes with a soft, creamy texture and has a non-drying formula. Three more shades are available to choose from – POW1, POW3, POW4. The price of the Maybelline Color Sensational Pink Alert Lipstick POW2 is Rs.425 for 3.9g. Click to read the full review. 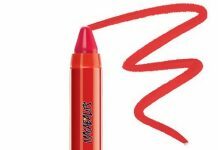 Maybelline Color Sensational Bold Matte MAT2 Lipstick : Another lip color which I’m loving these days is Mat2 which is a pretty coral color. 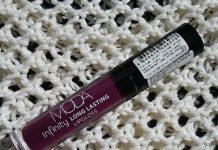 It is highly pigmented, sets into a semi-matte finish and stays on the lips for long. The price of the Maybelline Color Sensational Bold Matte MAT2 Lipstick is Rs.425 for 3.5g. Click to read the full review. Maybelline Color Show Nail Paint : The color show nail paints are my all time favorite and I owned most of the shades available. 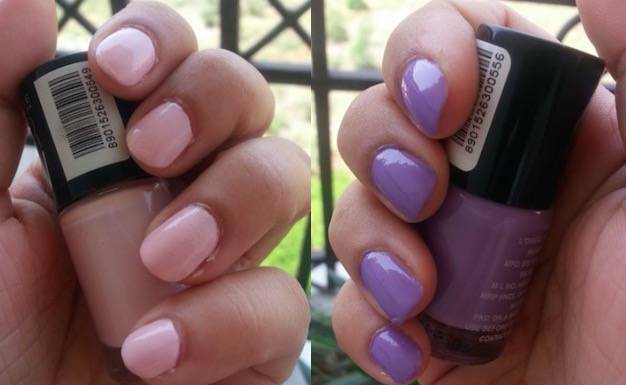 But I’m loving these two pastel shades this summer –Blackcurrant Pop and Constant Candy. The price of the Maybelline color show nail paint is Rs.75 for 6ml. Click to read the full review. 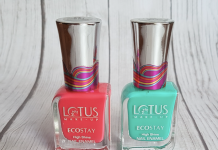 Maybelline Go Graffiti Green Graffiti Nail Paint : I bought two top coats and 1 jelly nail paint from this newly launched range. These are the best affordable textured top coats available in the market. The price of the Maybelline Go Graffiti Green Graffiti nail paint is Rs.145 for 6ml. Click to read the full review. Maybelline Volum Express Falsies Big Eyes Mascara : This is so far the best double wand mascara I’ve used till date. It coats lashes very well and gives the fuller looking lashes effect. 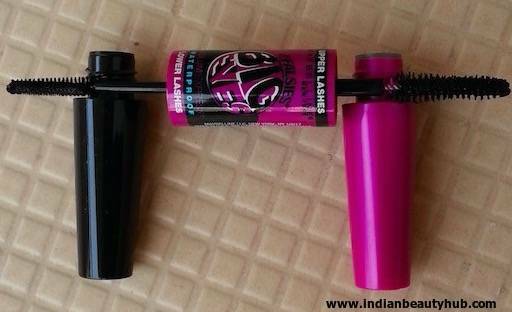 The price of the Maybelline Volum Express Falsies Big Eyes Mascara is Rs.599 for 8.7ml. Click to read the full review. Maybelline The Colossal Liner : It has good pigmentation, decent staying times and imparts rich black color on the eyelids. The pointed sponge tip helps in the precise application. 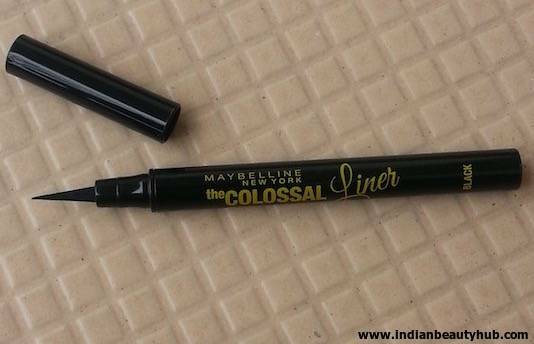 The price of the Maybelline The Colossal Liner is Rs.425 for 1.2ml. Click to read the full review.